A delicate and flowery fragrance in a goat's milk soap. Cleansing and moisturizing. Ground rose petals provide gentle and natural exfoliation. I am currently using this soap in my shower and I love how soft my skin is after I step out of the tub. 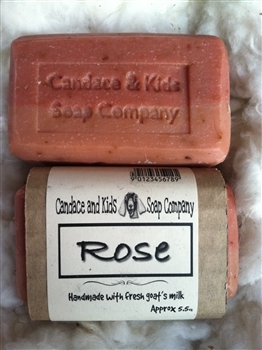 If you like roses, you will love this soap!